“Ik ben Toekomstboer” (‘I’m a future peasant’). 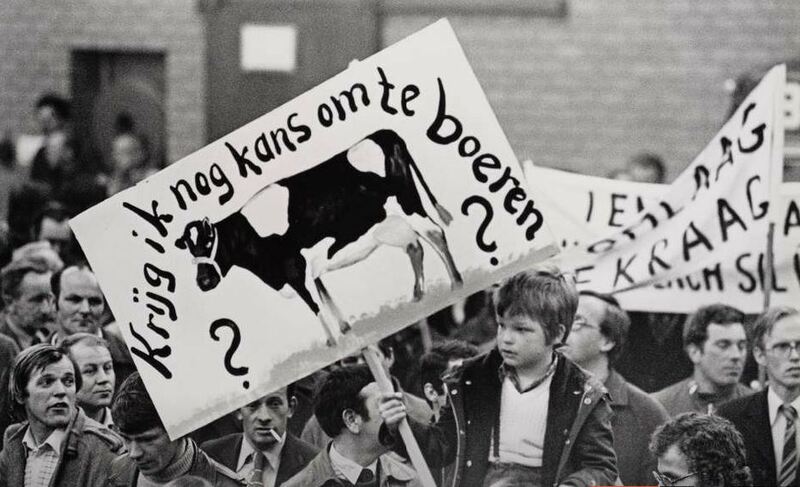 Young people in the Netherlands showing they want to work the land (picture by Toekomstboeren – see also this article in Dutch: De Paden van de Toekomstboer, Ekoland). “Young people don’t want to work in agriculture.” Boerengroep shows that this statement is not the case! In fact, there are many young people who want to work the land again, as a way to work towards food sovereignty, connect to the earth, and to build, defend and strenghten the agroecological movement. Despite the many challenges we face (e.g. access to land, money, knowledge, market), we find creative ways to turn our dreams into reality. One of the key principles and values of agroecology (Adapted from the Declaration of the International Forum on Agroecology (2015)), states that “Agroecology can provide a radical space for young people to contribute to the social and ecological transformation underway in many of our societies.”(Declaration of the International Forum on Agroecology (2015)). Therefore, Boerengroep considers it of crucial importance to highlight the aspirations, as well as the challenges of young (future) farmers as a way to secure food sovereignty in the future. Newcomers in Agriculture from the Netherlands.